Once more prized than gold, the Tulip is beauty in simplicity defined. 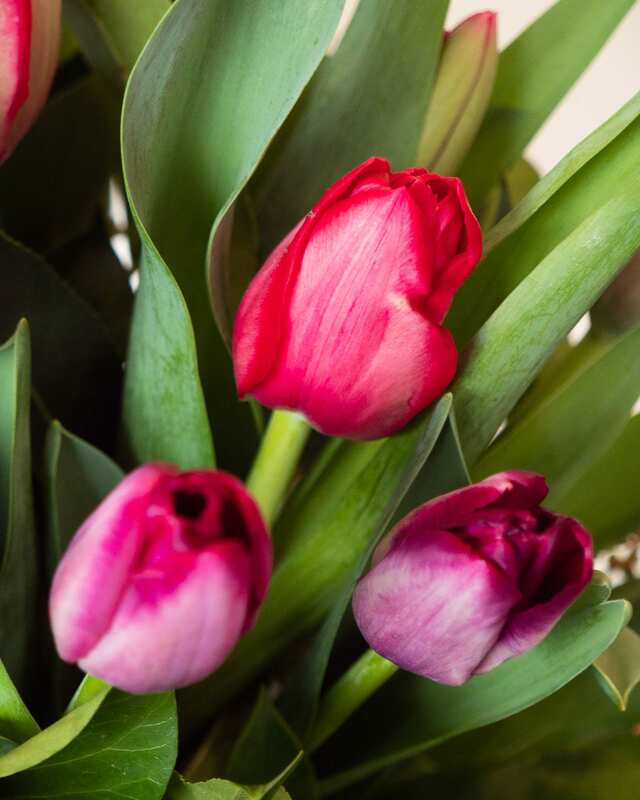 Our Tulips are locally sourced and brought in fresh for only the best Tulips delivered. 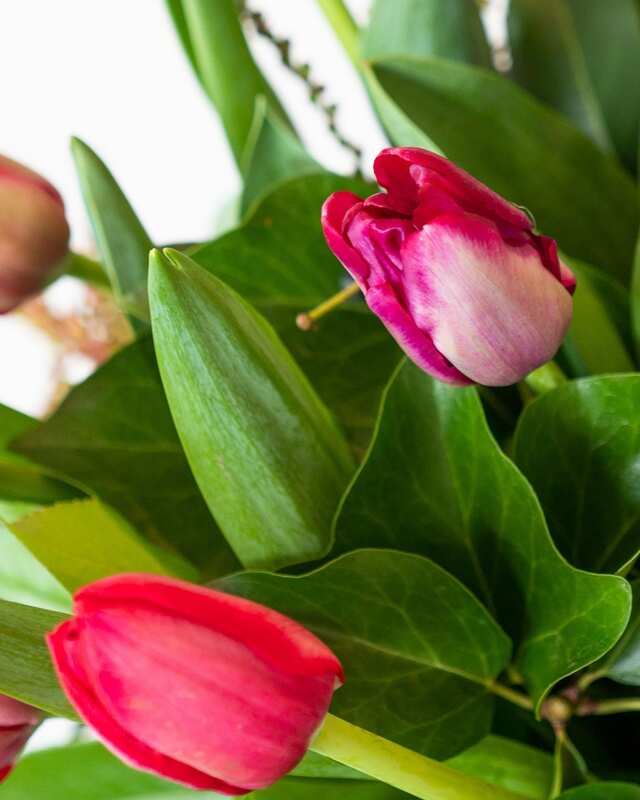 Pictured is the double sized Spring Tulip Bouquet. Send flowers either gift wrapped or presented in a glass vase.